Blog Quick Quotes: Card Techniques with Connie! 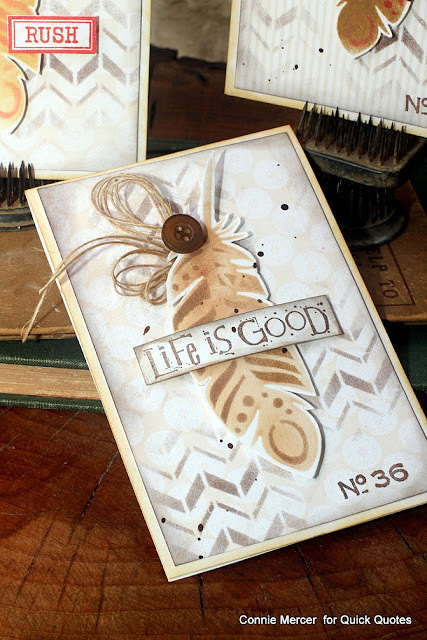 Hi, Connie here with a project using the new Quick Quotes PowderPuff Chalk inks with a stencil. The inks work well with a sponge or taking the ink right to the stencil and if you use a sponge, shading is achieved easier. Several different colors of ink were used to add color to the feathers. 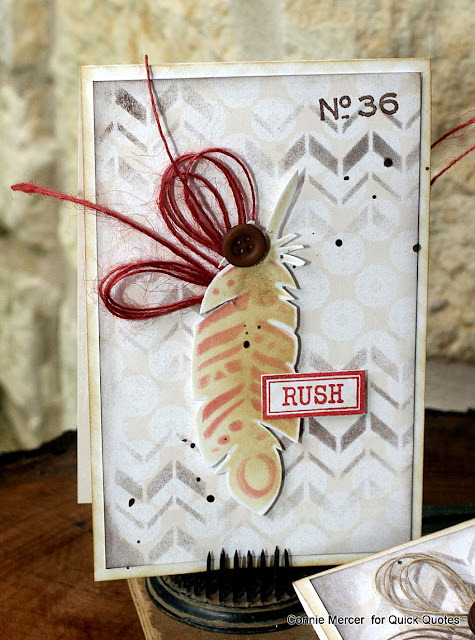 The inks were layered over each ink application. Pick out five or so PowderPuff Chalk Inks. 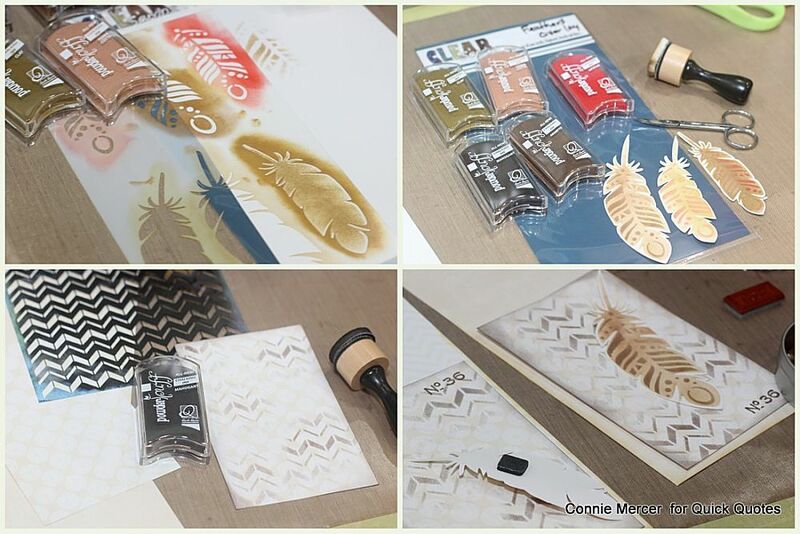 I started with Clay. It is a light brown so I layered the darker ink over the lighter ink color. 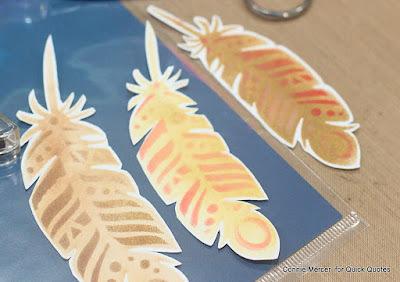 I created three feathers using different inks. 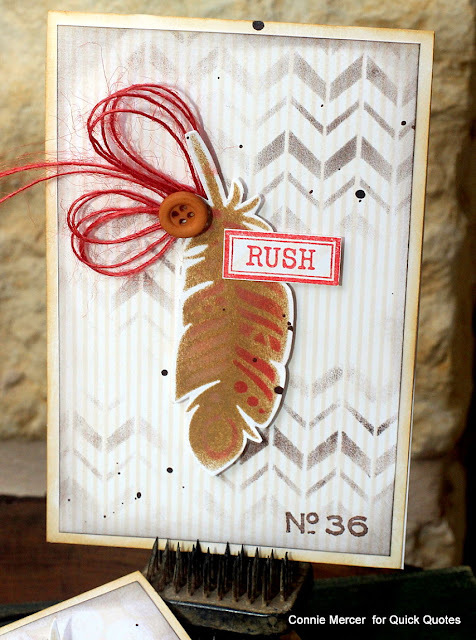 The card fronts also have some stenciling done using the 6" chevron pattern by Clear Scraps. Cut out the feathers and adhere to the card front with foam adhesive. 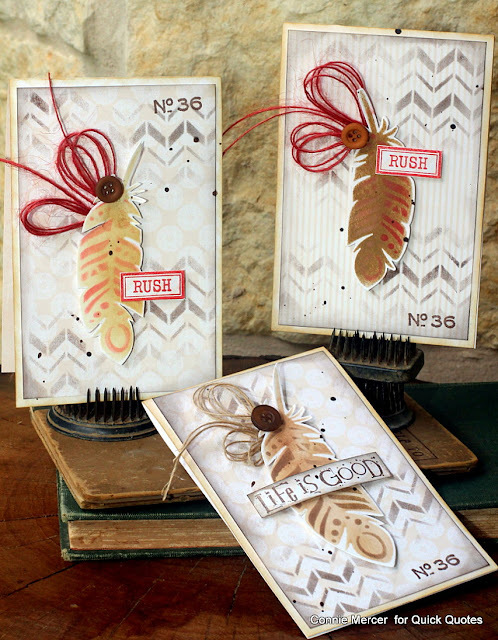 Twine and buttons, along with a little stamping, completed the cards.